10 famous military leaders who helped change the world. 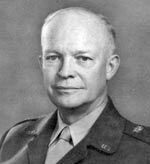 Dwight Eisenhower (1890 – 1969) A five star General in the US army, Eisenhower was Supreme Allied Commander for the D-Day invasion of occupied Europe (1944-45). Also, successfully oversaw the invasion of North Africa (1942). First Supreme Commander of NATO. Napoleon (1769 – 1821) As Emperor of France 1804-1815, Napoleon’s forces swept across Europe, gaining a hegemony over most of Europe. In many battles, Napoleon overcame numerical inferiority through superior use of tactics. 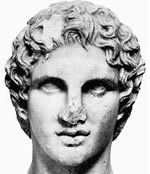 Alexander the Great (356 – 323 BC) As King of Macedonia, he established an Empire from the Ionian Sea to the Himalayas in India. Alexander the Great remained undefeated in battle. Genghis Khan – ( 1162  1227) From humble beginnings, Genghis Khan conquered Mongolia and China and then created an Empire stretching into Central Europe. During his lifetime, his Mongol hordes were unstoppable. Akbar (1542 – 1605) The third Moghul Emperor, Akbar consolidated his Empire across India, through a series of striking military victories, creating one of most affluent empires of the age. Constantine the Great (272 – 337) Constantine served as Roman emperor from 306 to 337. He successfully defeated both internal rebellions and consolidated the Roman Empire defeating the Franks, Alamanni, Visigoths, and Sarmatians. Erwin Rommel (1891 – 1944) ‘The Desert Fox’ was admired by both his troops and enemies developing a reputation for invincibility. He was a commander during the invasion of France (1940) and achieved striking victories in the North Africa desert war. He turned against Hitler in 1944, and was forced to take his own life. 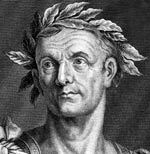 Julius Caesar (100 BC – 44 BC) Under Caesar, the Roman Empire stretched to its furthers points – crossing the Rhine and into Britain for the first time. 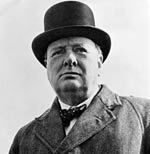 Winston Churchill (1874 – 1965) Winston Churchill became Prime Minister in May 1940, when Great Britain alone stood against Hitler. With stirring speeches, Churchill rallied the population and quashed those who wanted to make a deal with Hitler. 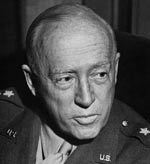 General Patton (1885 – 1945) US Commander during Second World War, Patton distinguished himself in Africa, Sicily and in the liberation of Frances – especially during the Battle of the Bulge. Citation: Pettinger, Tejvan. 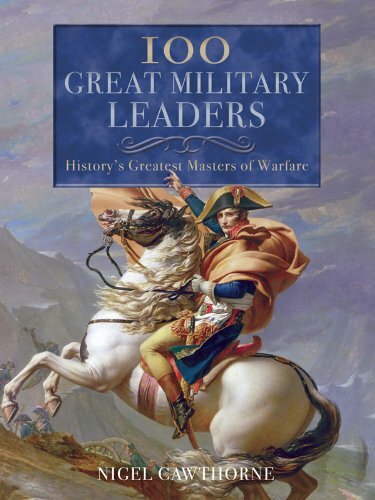 “Great Military Leaders”, Oxford, UK www.biographyonline.net, Last updated, 12 January 2018. Charlemagne (748 AD – 812) – Expanded the Frankish kingdoms to unite much of Europe (France, Germany and Italy) under one rule. George Washington (1732-1799)- Military campaigner of American forces in the war of Independence. I don’t see anything about Hannibal the Great whose military strategies are still being studied by our military. Where is admiral lord Nelson fought 3major sea battles and won them.all.has there been many better sea commanders than Nelson.i think not. I am expecting to see the name of Hindu King Shivaji (Sarkar, [by] Jadunath (1973). Shivaji and his times. Hyderabad [etc. ]: Orient Longman. p. 260. ISBN 9788125013471) who defeated Mogul Emperor Aurangzeb many times. And also Bajirao Ist whose reference came in the book (A History of Warfare: Field-Marshal Viscount Montgomery of Alamein, William Morrow & Co; 1st edition (January 1983), ISBN 978-0688016456).